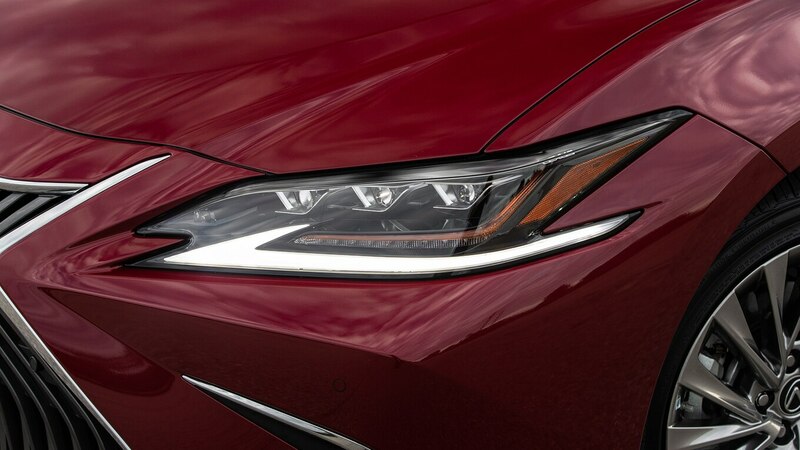 Lexus is slowly infusing more emotion into its lineup, first with the introduction of the RC and LC coupes and then the youth-oriented UX crossover. 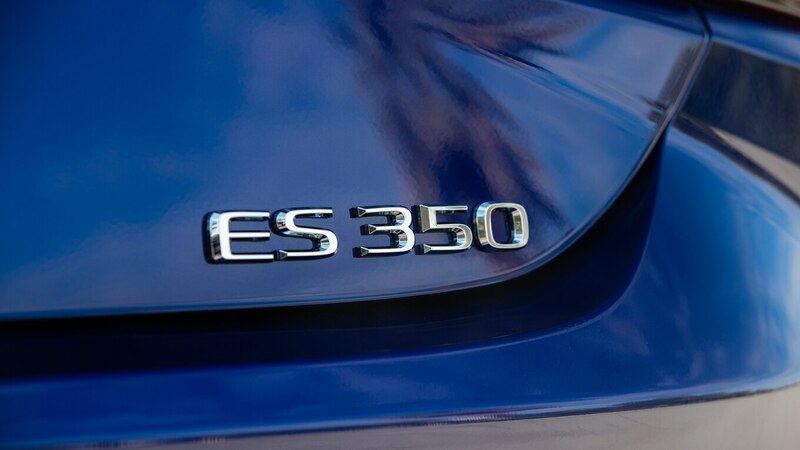 Now it’s attempting to bring some of that piquancy to the ES, which has long been haunted by its “staid sedan” image. 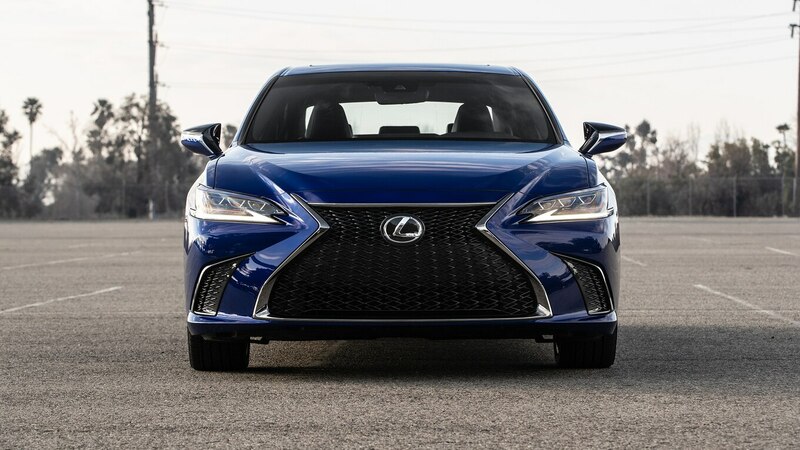 Entering a new generation, the 2019 Lexus ES benefits from more powerful engines and a new F Sport variant. 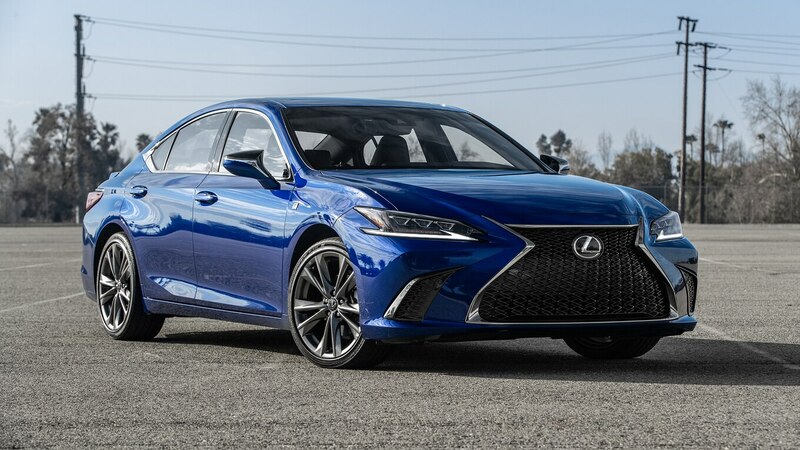 After driving the hybrid ES several months ago, we tested two V-6 models, one with the F Sport badge, to find out whether Lexus has successfully reinvigorated its midsize sedan. The transformation starts with some skillful plastic surgery to the front face. 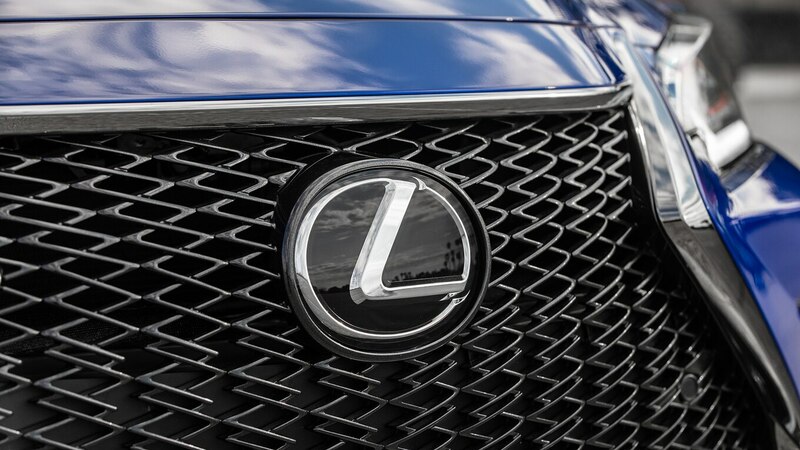 You definitely won’t mistake it for anything other than a Lexus, but the standard grille has changed with more fluid vertical lines that replace the previous model’s boring straight horizontal bars. 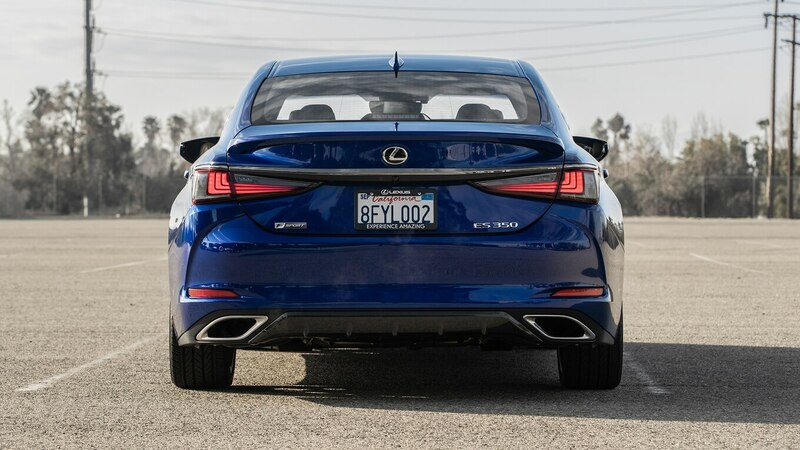 F Sport variants receive an interesting mesh pattern, and in the rear, a trunk lid spoiler. 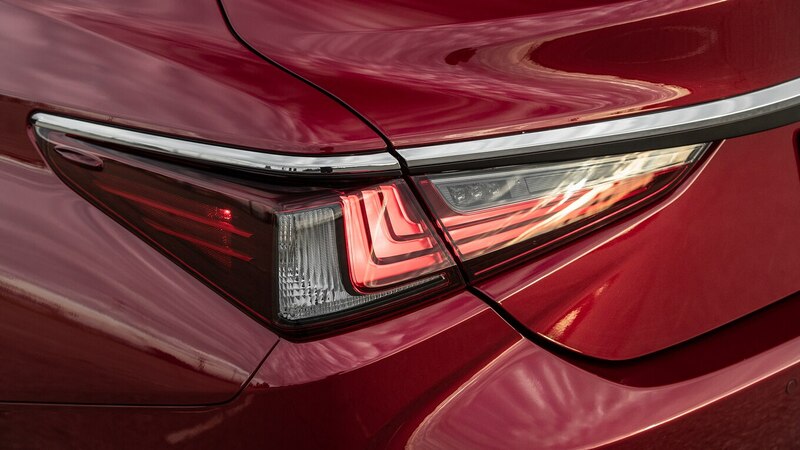 Look for slimmer headlights and taillights on all models, as well as sharper window trim. 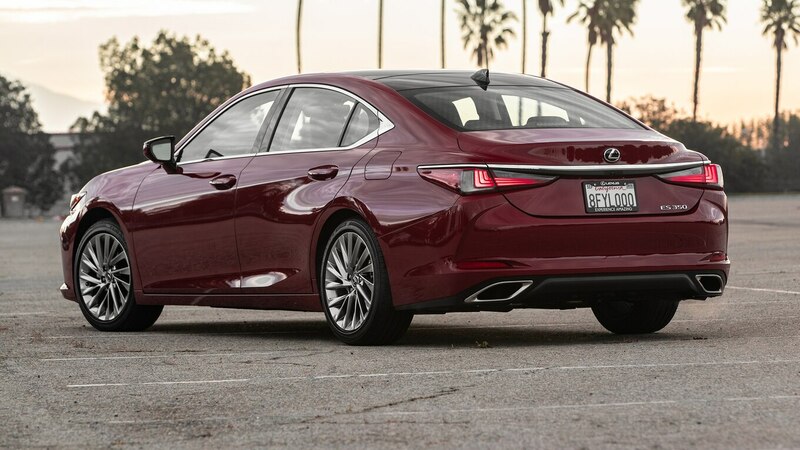 Sitting on a new platform, the sedan is longer, lower, and wider than its predecessor. 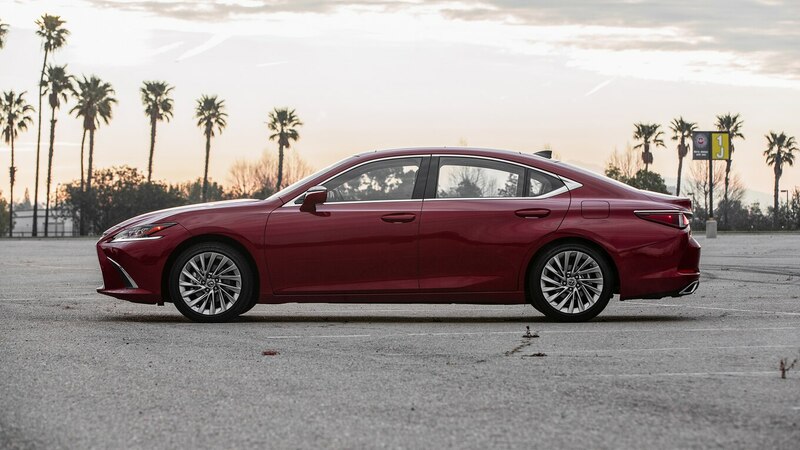 It’s the same length and wheelbase as the Toyota Avalon, and you can feel its large size in tight turns. 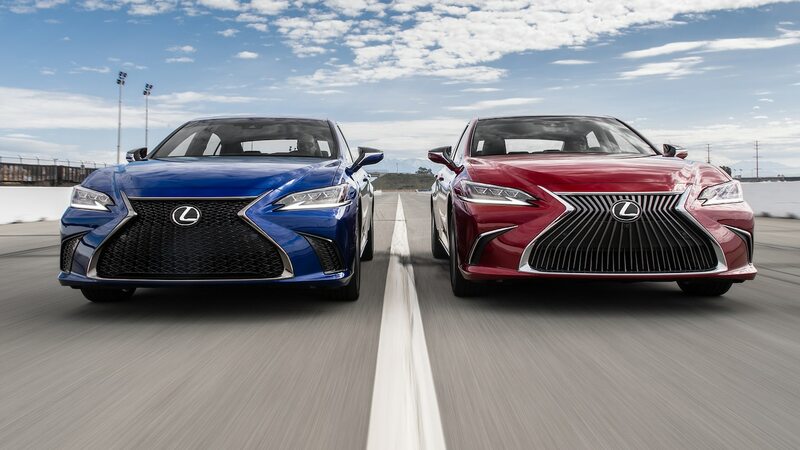 We tested two front-wheel-drive versions: the highly contented ES 350 with the Ultra Luxury package and the ES 350 F Sport. Both come with a 3.5-liter V-6 making a healthy 302 hp and 267 lb-ft of torque. 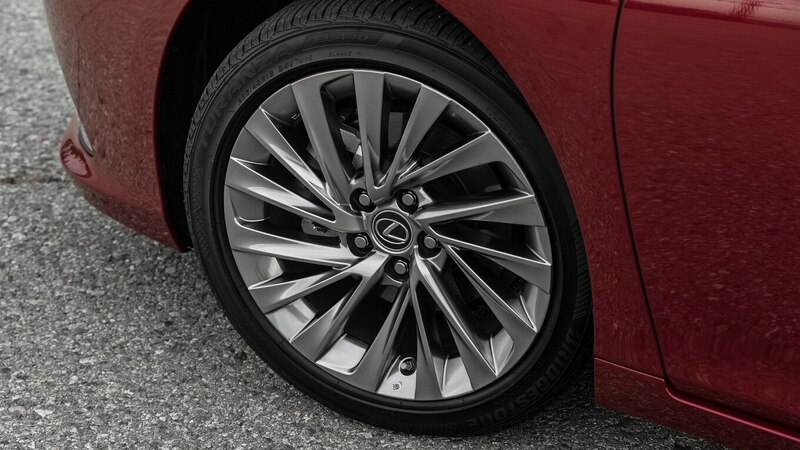 Our F Sport model distinguishes itself with 19-inch wheels instead of 18-inchers. 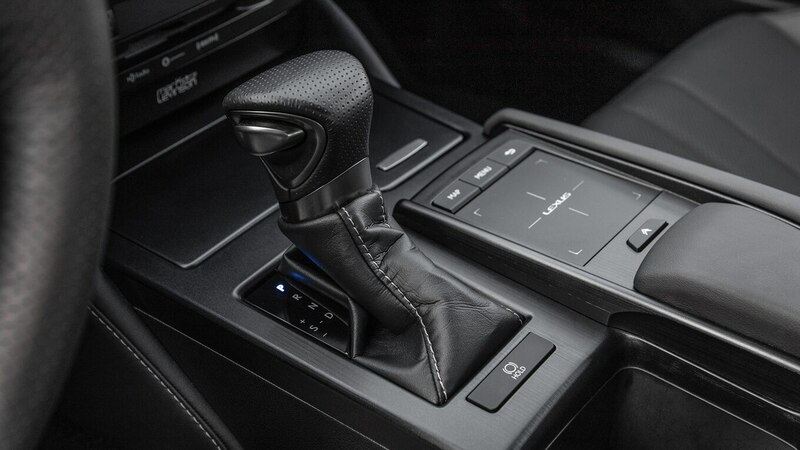 It also has an adaptive variable suspension—available as an exclusive option on this trim—with extra drive modes including Sport, Sport+, and Custom. 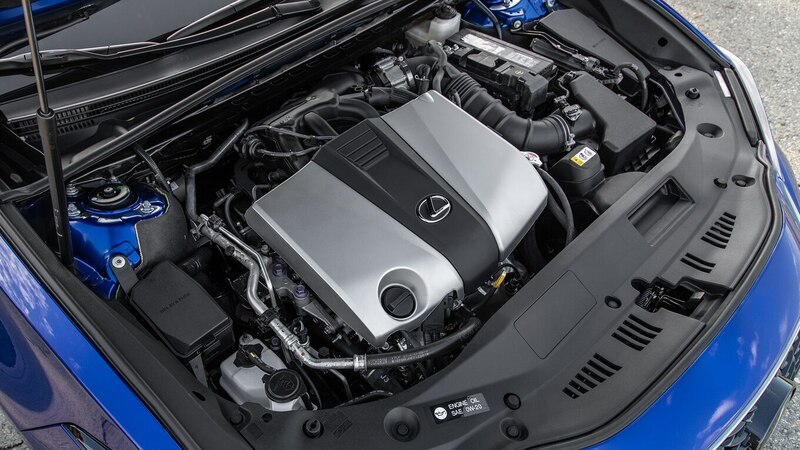 The F Sport may have a few extra performance goodies, but at least when you look at the numbers, it performs quite like the standard V-6 model. 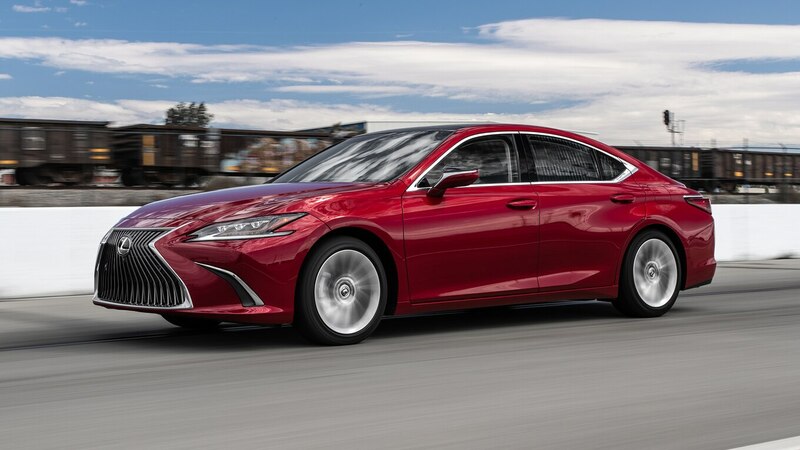 No matter which option you choose, acceleration will be on target with other comfort-oriented luxury sedans with V-6 engines. 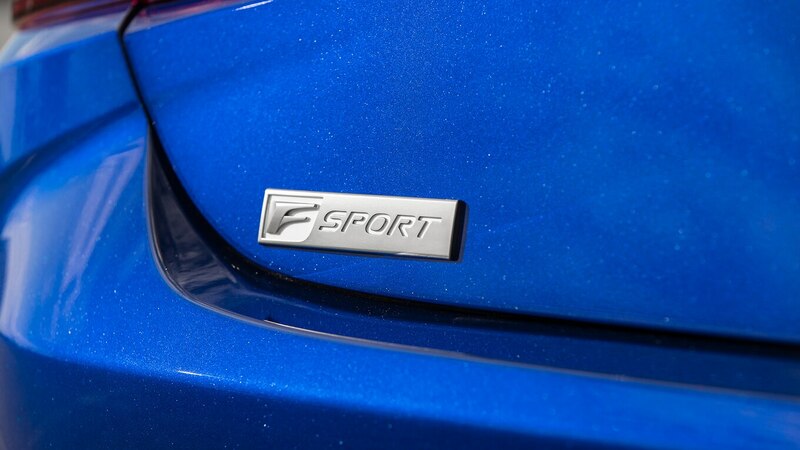 In the 0–60 run, the Ultra Luxury hit 60 mph in 6.1 seconds, and it took the F Sport model 5.9 seconds. 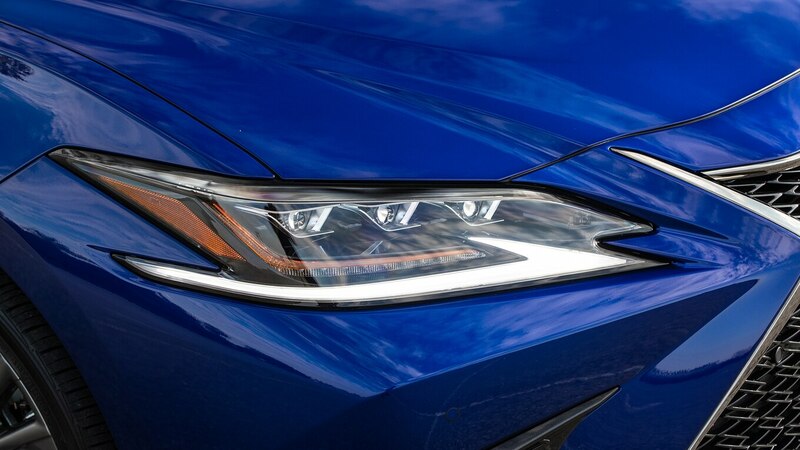 The 2018 Acura TLX SH-AWD split the difference with a time of 6.0 seconds in A-Spec guise. Another rival, the 2017 Kia Cadenza SXL, took 6.5 seconds. 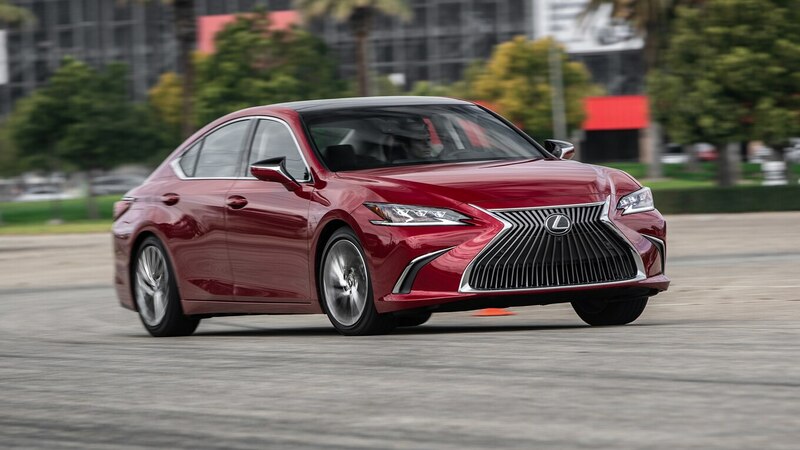 Even slower, a 2019 Lexus ES 300h tester sauntered to 60 in 7.8 seconds. 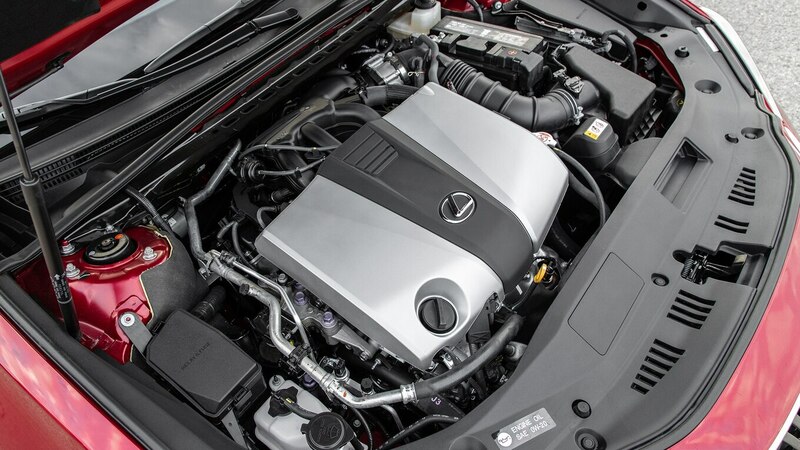 The difference is excusable, however, as it has a four-cylinder hybrid powertrain making just 215 hp. The sedans did fine in the figure eight. 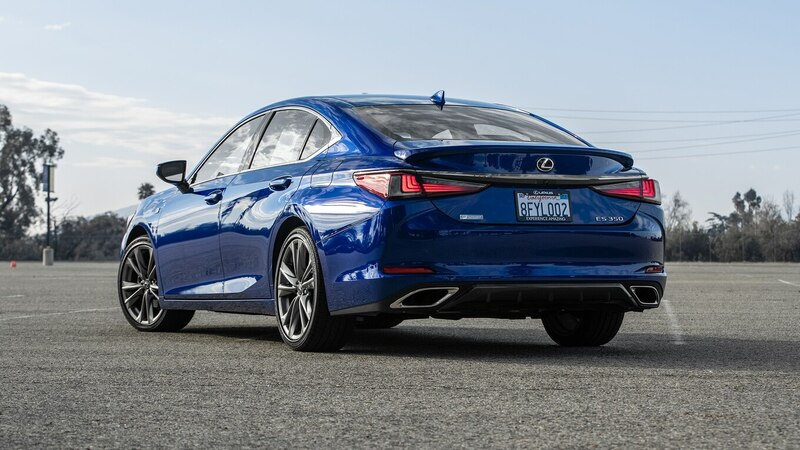 Each clocking a time of 26.2 seconds at 0.67 g, the two Lexuses rounded the bends more quickly than the Acura (25.8 seconds at 0.71 g) and the Kia (27.6 seconds at 0.63 g). 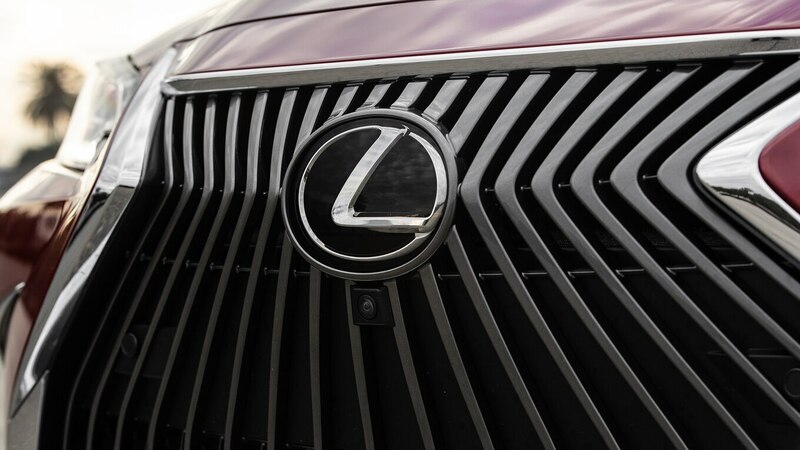 The hybrid Lexus was slower: 28.4 seconds at 0.60 g.
Of course, numbers don’t tell the whole story. Both models suffer from numb steering, among other issues. Road test editor Chris Walton called the handling course a “terrible experience” in the Ultra Luxury. “If I get on the throttle too soon coming off either skidpad, it spins the unweighted wheel and upshifts to third (botching the lap),” he noted. “Substantial dive under braking, but once the weight comes off the front tires, [there is] tremendous understeer in the corner (8 of 10) where the body motions are not well controlled and the throttle response is super lazy; it can be measured in seconds rather than fractions of a second.” He said the F Sport had similar issues but better body control and slightly less dive while braking. Although the test team noted front-end dive, the brakes bite down smoothly on demand, and the cars stopped straight. 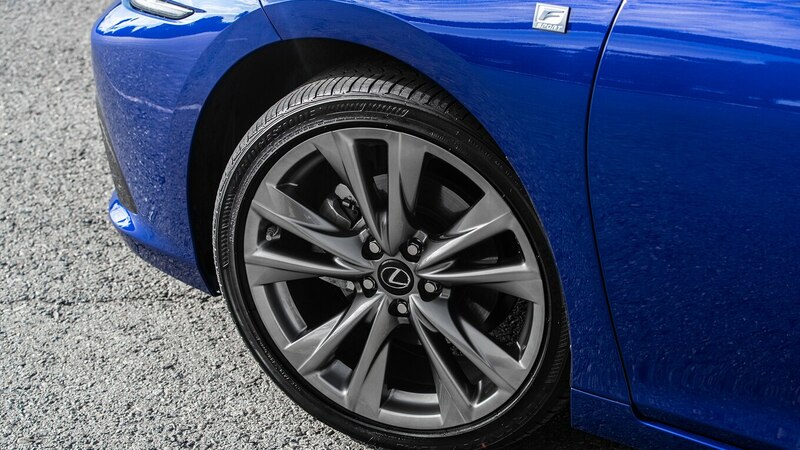 It took the Luxury model 119 feet, and just 114 feet for the F Sport. 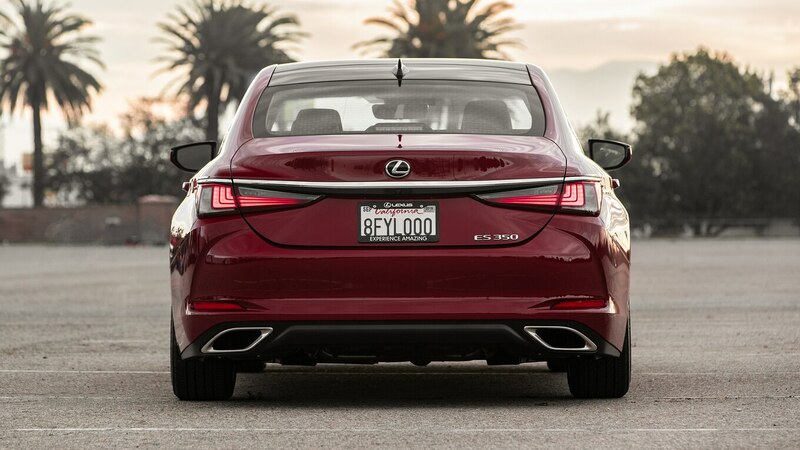 The stopping distances are on par with the Acura at 118 feet, and better than the Cadenza at 121 feet. 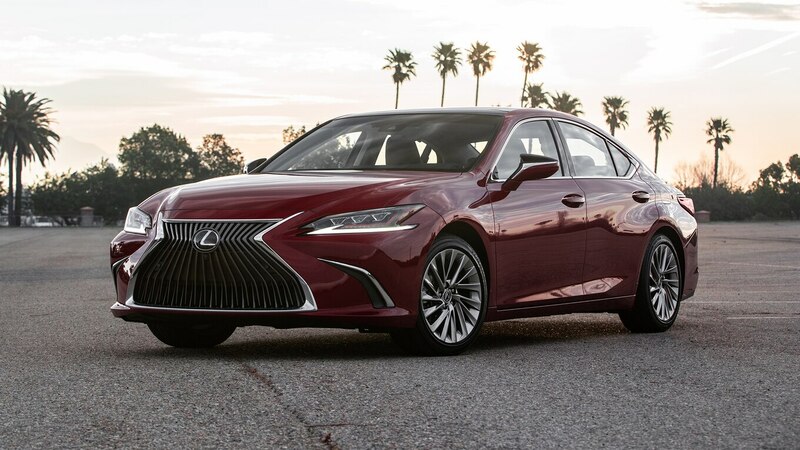 Sadly, it took the hybrid Lexus 140 feet to come to a full stop. 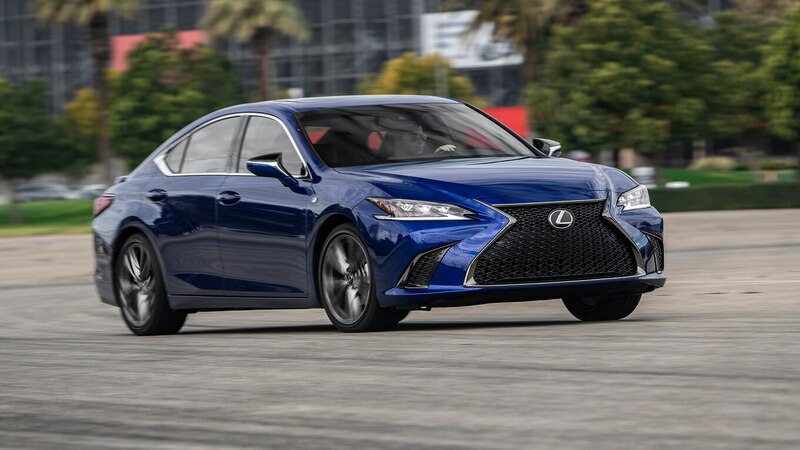 Now that we know how the ES compares to other sedans, let’s take a closer look at how well the F Sport lives up to its name. 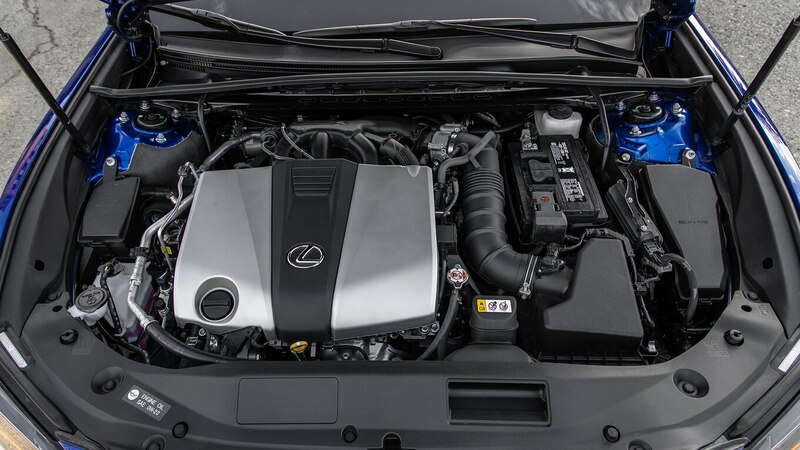 It exhibits a firmer ride and superior acceleration on the highway, and benefits from a heartier engine noise. But throttle response lags a little when getting up to speed. 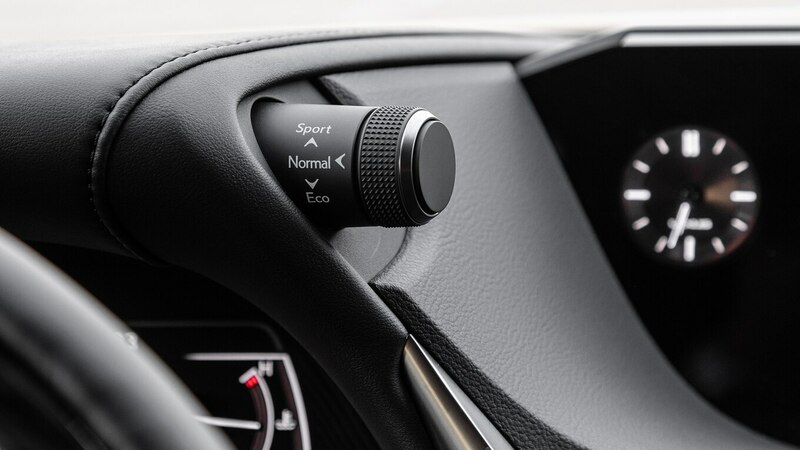 The F Sport’s Sport+ mode makes a noticeable difference in steering feel, which is normally less than communicative on both models, even in their lesser sport modes. 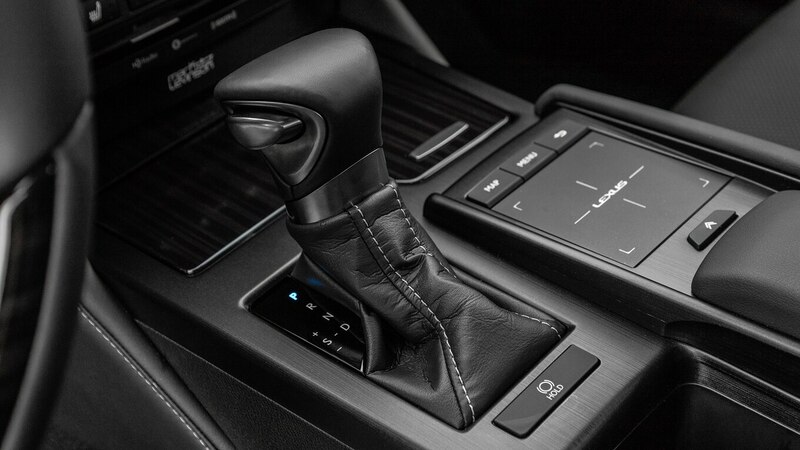 The aggressive transmission makes itself more noticeable on the F Sport model than on the Ultra Luxury, though the test team noted quite a bit of spacing between first and second gears, and second and third gears on the latter. 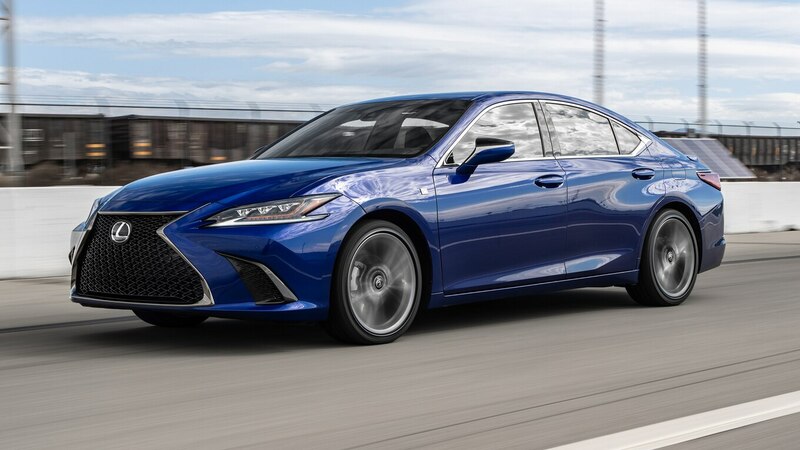 Unfortunately, the ES rides a bit louder than we’d like, particularly the F Sport model, which doesn’t control wind noise as well. 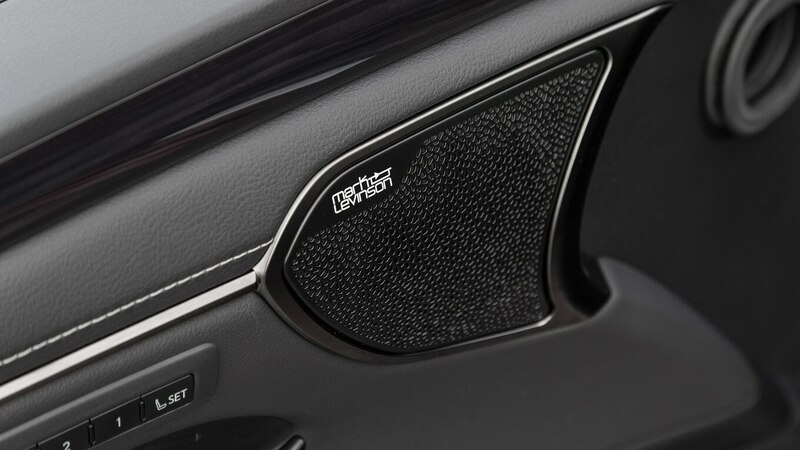 On both models, you’ll hear quite a bit of road noise at 65 mph (105 km/h) on the highway. 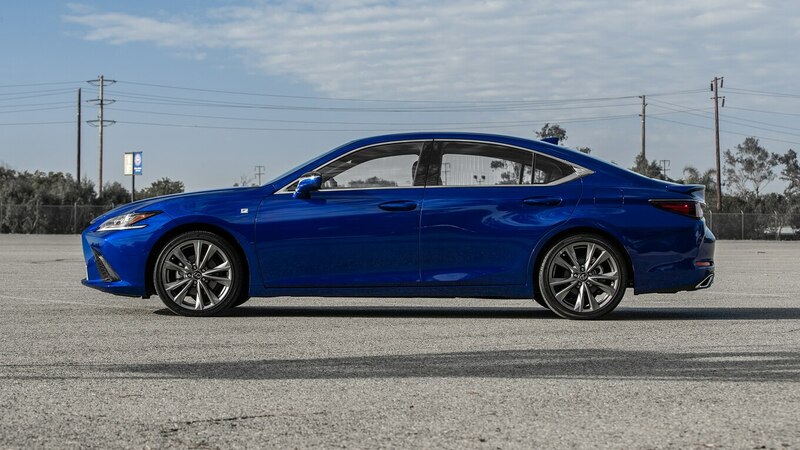 That said, the sedans benefit from excellent forward visibility, with no bulky pillars in the way and side mirrors that are just the right size. 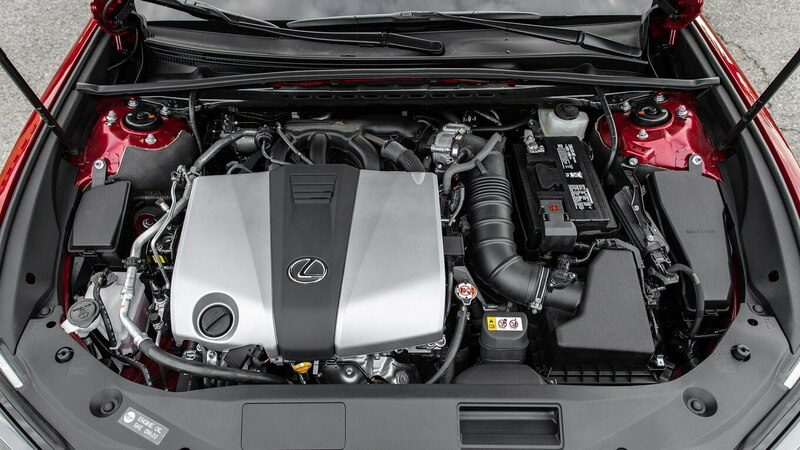 The Lexuses failed to live up to their EPA ratings in our Real MPG tests, though both came close. The Ultra Luxury achieved 20.3/35.8/25.2 mpg (11.6/6.6/9.3 L/100 km) city/hwy/combined, below the EPA’s 22/33/26 mpg (10.7/7.1/9 L/100 km). 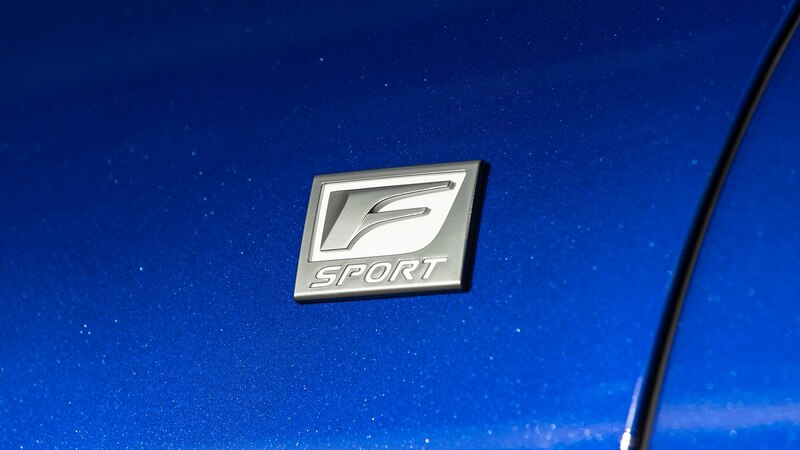 Results for the F Sport came back at 20.2/32.1/24.3 mpg (11.6/7.3/9.7 L/100 km), lower than the EPA rating of 22/31/25 mpg (10.7/7.6/9.4 L/100 km). Despite the potential fuel economy setback, I’m normally more inclined to take an SUV than a sedan on a weekend getaway. Still, the ES Ultra Luxury proved a capable tour guide on a recent trip to Nevada. 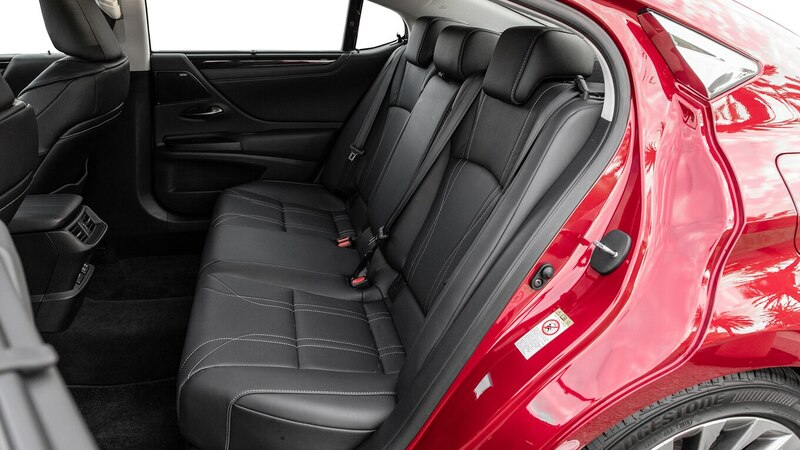 My passengers found plenty of legroom in the back seat, and though it doesn’t cushion you from every bump in the road, the ride was comfortable enough to make the hours fly by. The cargo bay held luggage for four people, plus our bulky rock climbing gear. The long trip was the perfect time to test out the cruise control system. Turns out, it can be slow to get up to your preset speed when traffic has cleared and the car ahead of you has zoomed forward. As with many systems, it doesn’t always get the spacing quite right. But that’s a small qualm when I think of the extremely comfortable seats. 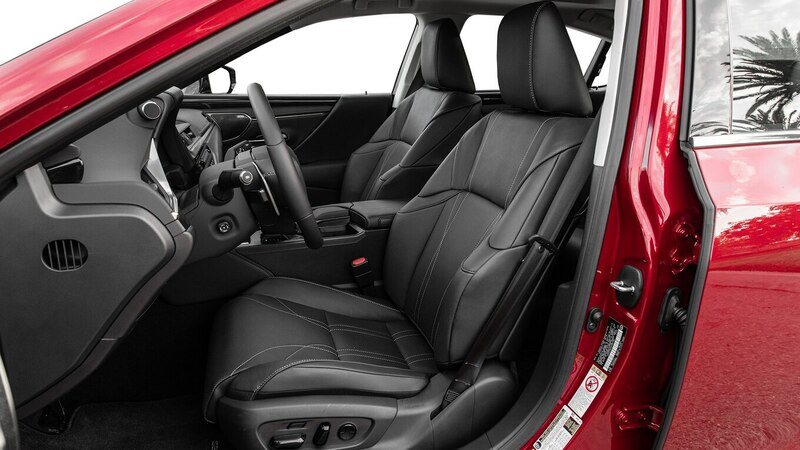 I was able to drive for five hours without back discomfort, whereas it usually takes only a few hours to get squirmy in the seats of my long-term Volvo XC60. 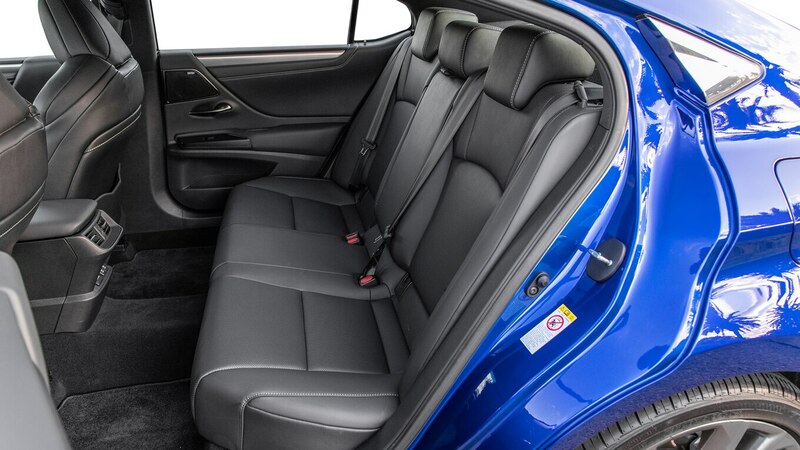 Our tester came with semi-aniline leather seats, which are standard on the Ultra Luxury model. 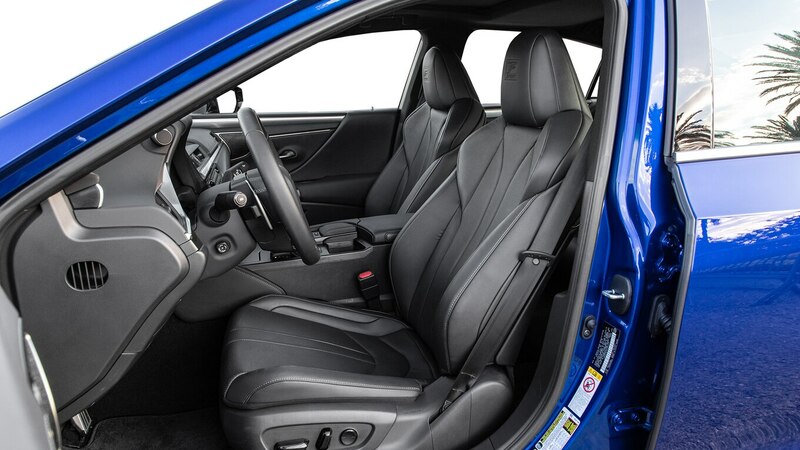 The F Sport’s seats, which have extra bolstering, aren’t quite as comfortable. 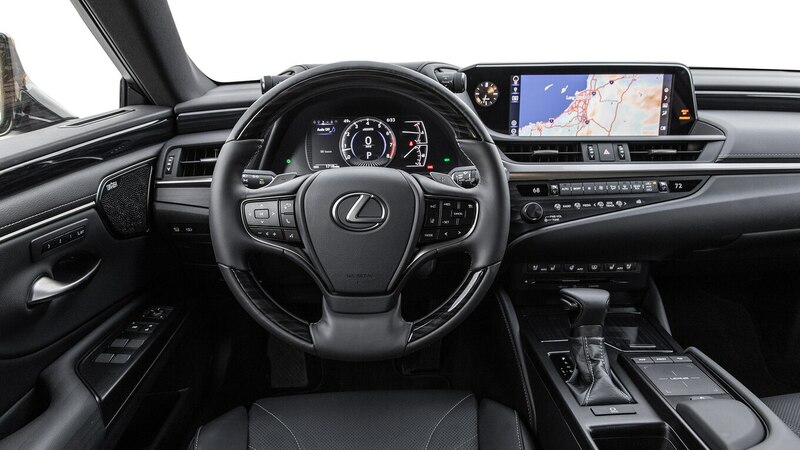 In either tester, the interior is a pleasant sight, with natural-looking wood accents on the Ultra Luxury and aluminum trim on the F Sport. 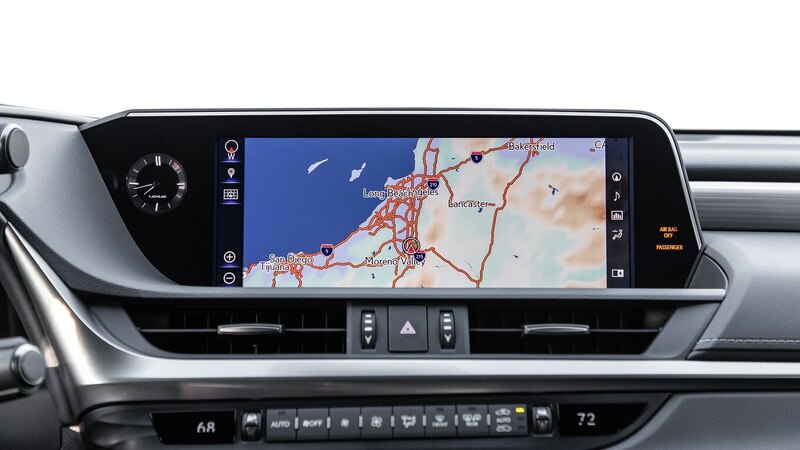 And although the optional 12.3-inch central display has crisp graphics, it is frustrating to use. The touchpad is difficult to operate, and there are too many menus and too much toggling required just to select music. 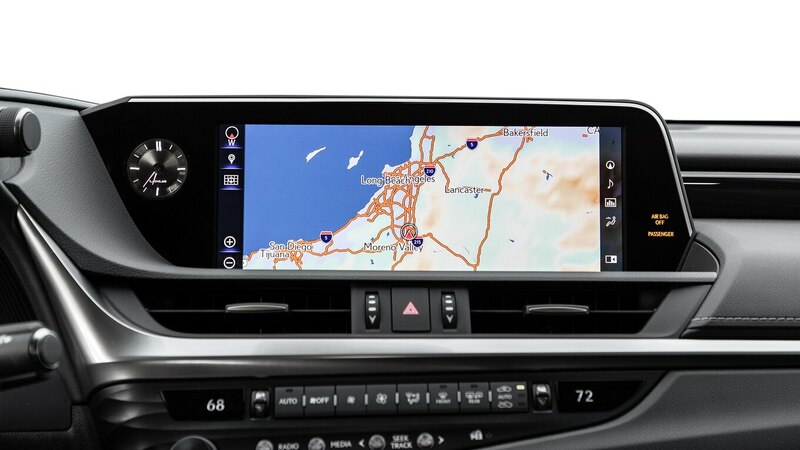 Lexus finally introduced Apple CarPlay on the ES, but it still doesn’t offer Android Auto. Having an Android phone, I was out of luck, though calls came through pretty clearly with Bluetooth during my drives. The rearview camera proved handy while parking. I enjoyed the setting with one side of the screen providing a classic rear view and the other side giving a top-down look of the car pulling into a space. 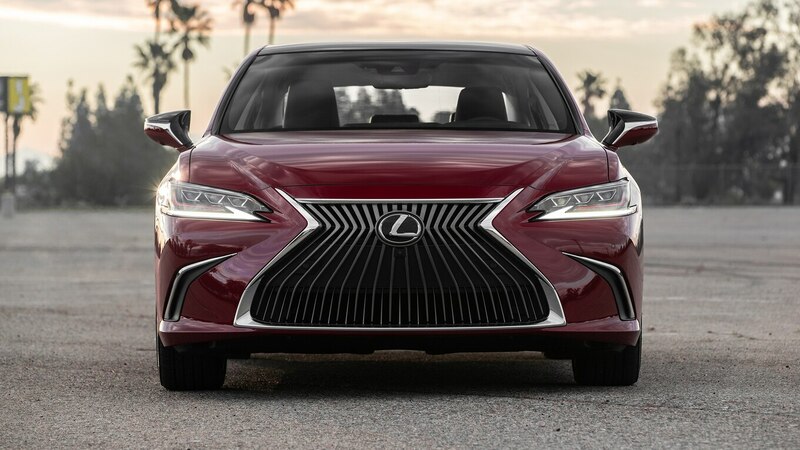 While we may take issue with the handling, the Lexus ES has the luxury amenities to make drivers feel as pampered as luxury drivers should. 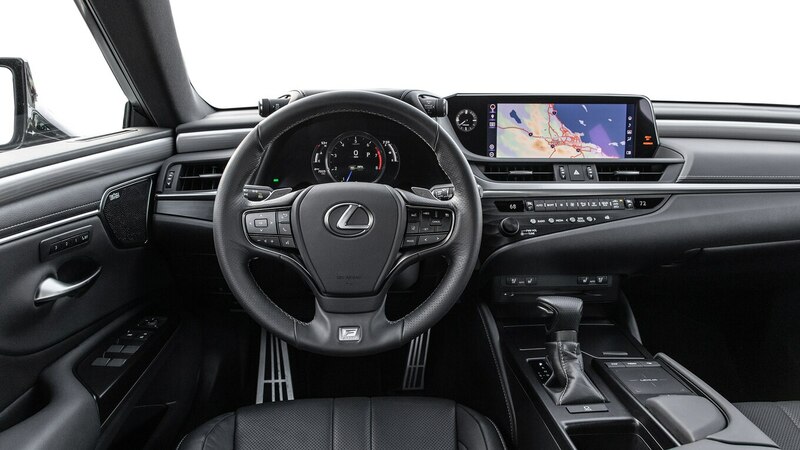 The F Sport adds a little extra flavor to the model line in terms of slightly better acceleration, braking, and body control, but with some sacrifices to seat comfort, ride quality, and fuel economy. It doesn’t move the needle that drastically when it comes to performance numbers. 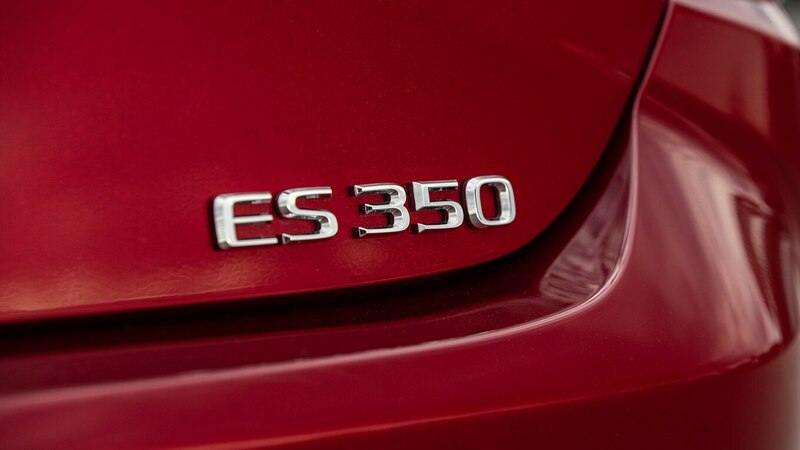 Like in the past, the ES is best at being a comfortable sedan, and that’s not a bad thing.